The HDS8 Semi or Fully Automatic large capacity saw is designed to cut up to 800 mm. 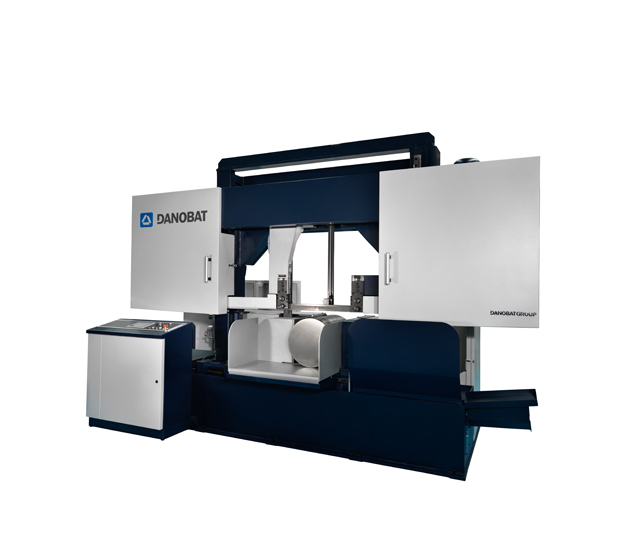 The DANOBAT HDS horizontal cutting saws are characterised by their robustness and precision, in order to guarantee productivity and cutting quality. Its robust columns and headpiece, manufactured in one single part, avoid any kind of vibration during cutting. The material is secured at both sides of the belt, the guides automatically adapt to the material width and the mobile arm hydraulically blocks during the cutting process. The ADMP® (automated dry material placement) technology will also be on display. This technology has been developed by DANOBAT for the automatic manufacture of structural parts in composite material. The ADMP® technology is highly productive and versatile, offering fantastic advantages as it permits the precise and fast lamination of a wide range of materials, such as belts, NCFs and dry fabrics.